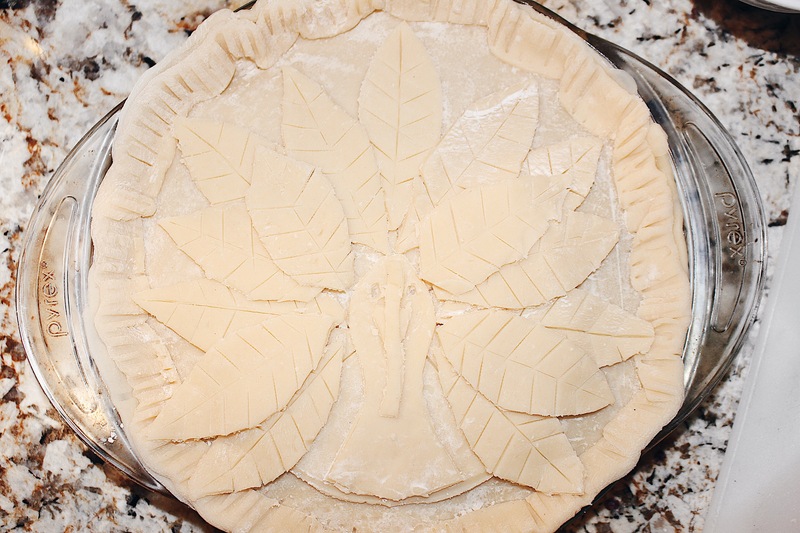 Whenever you think of Thanksgiving, you think of turkeys and pie right? I know I do. 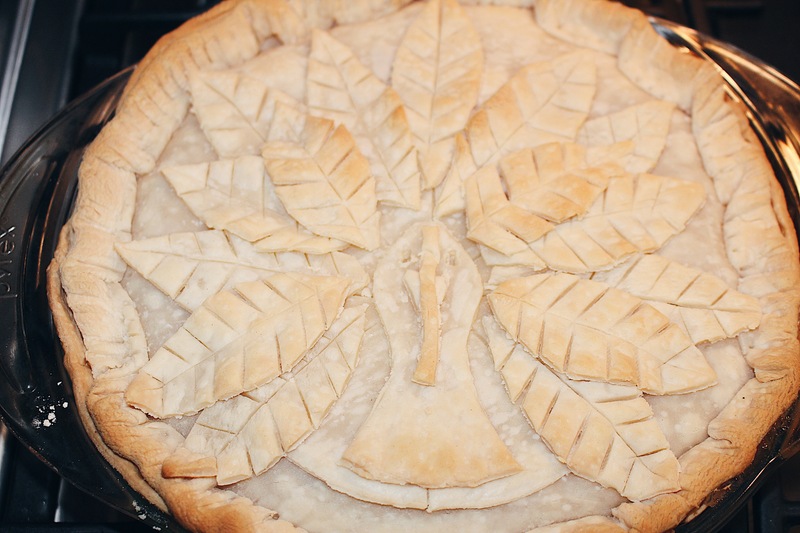 Well, what’s better than a 3D Turkey Crust Apple Pie? Nothing. lol Apple pie is my absolute favorite, especially during the Fall season and for Thanksgiving. 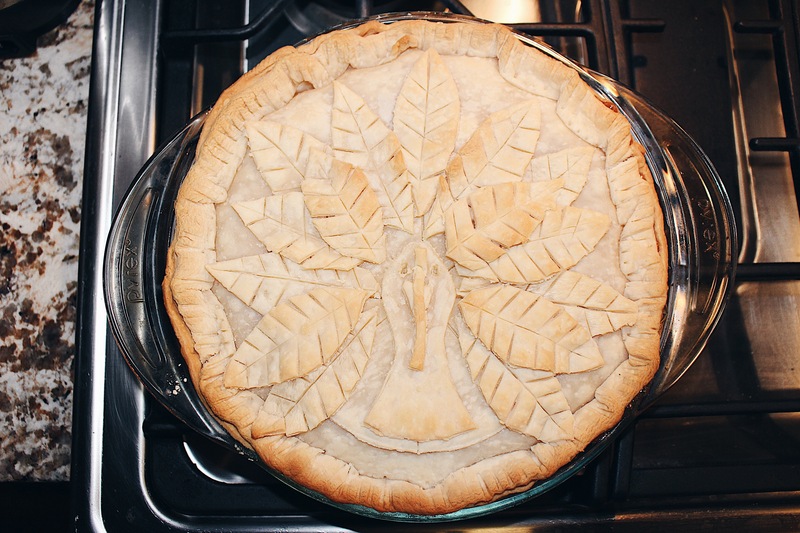 I figured I’d step up my Homemade Apple Pie Recipe and turn my crust into a Turkey! In this post, I’m going to show you how to do that! 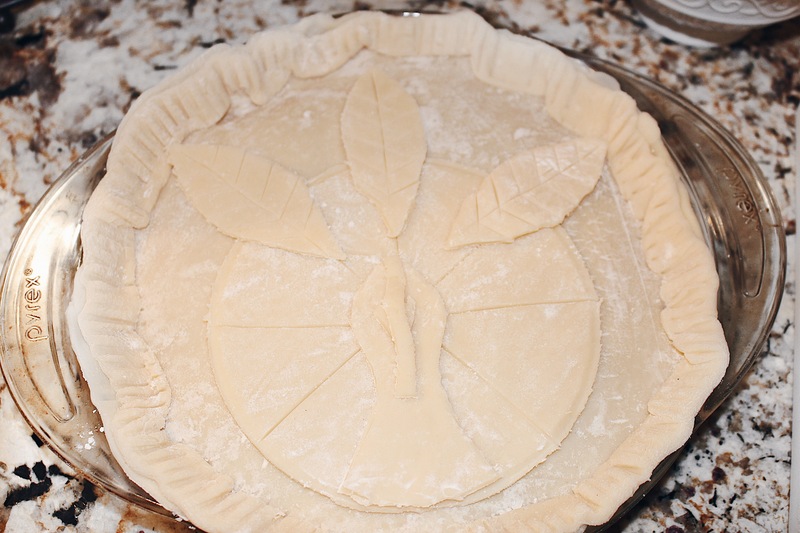 This post will revolve around the crust, so check out the original recipe to see how I make the crust and pie filling. 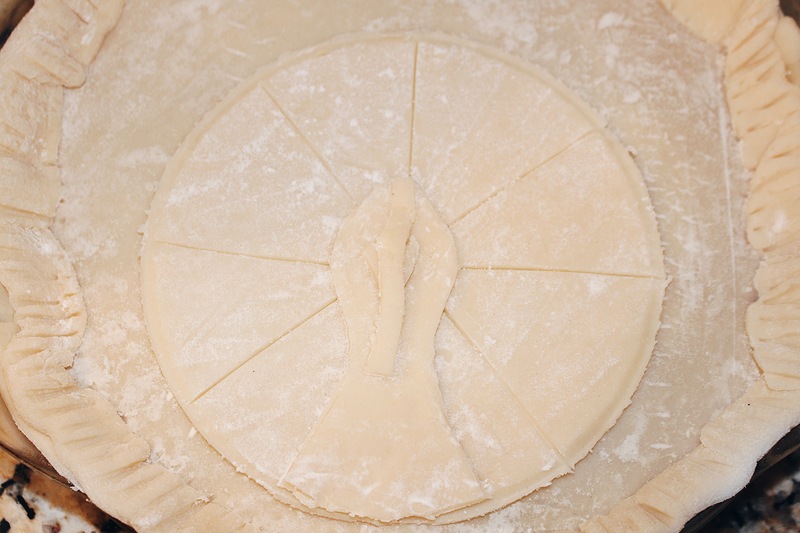 Once you have done all the steps for your crust and made your filling, go ahead and fill your pie. 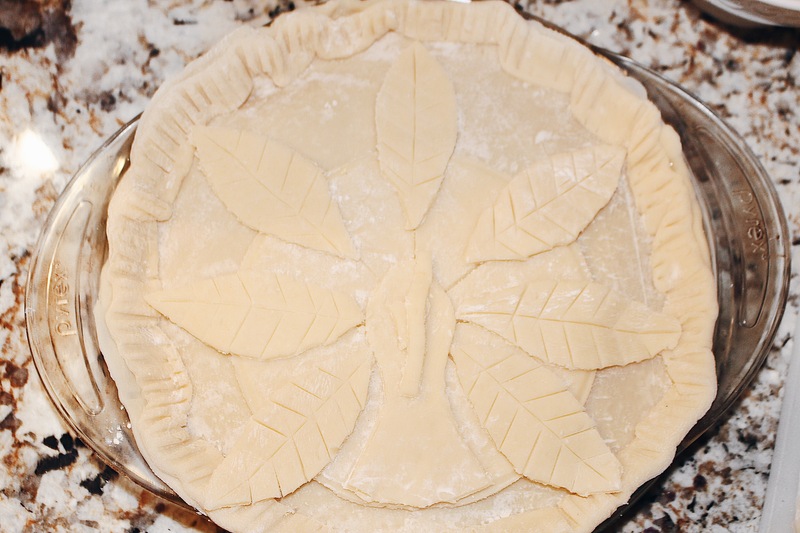 Next, take your second ball of dough, roll it out and cover the pie. 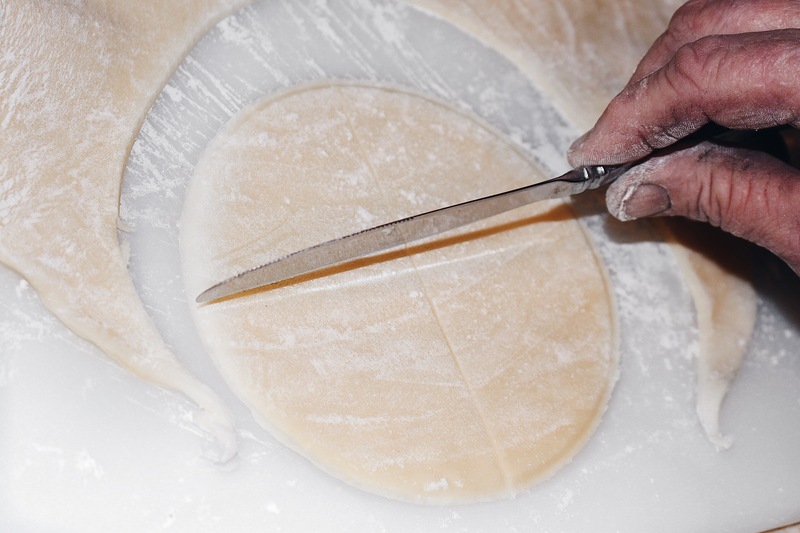 Pinch in the sides and stamp with a fork to make creases. 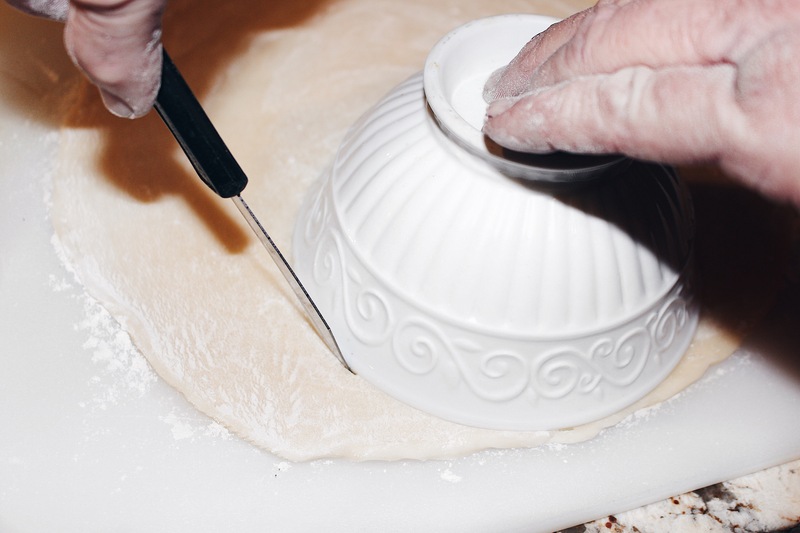 Roll our your third piece of dough and place your medium sized bowl upside down onto it. 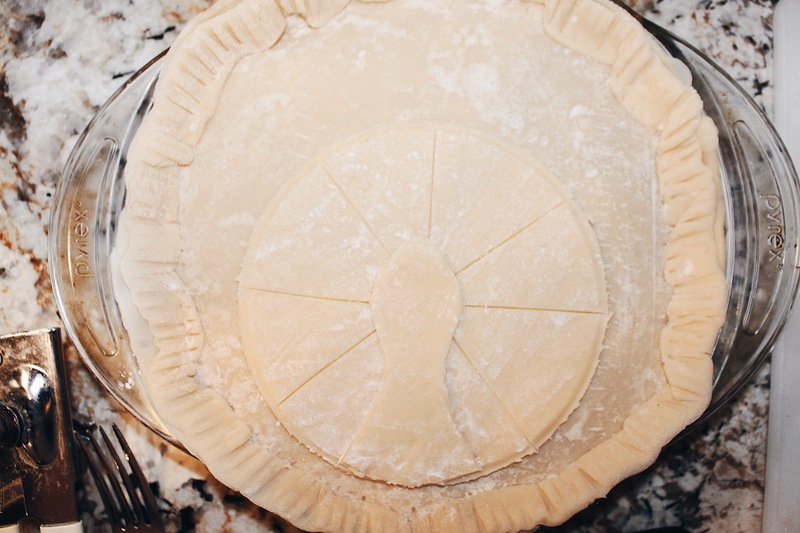 Take your sharp knife, and trace the shape of the medium sized bowl out of the dough, this will be the base of the turkey. 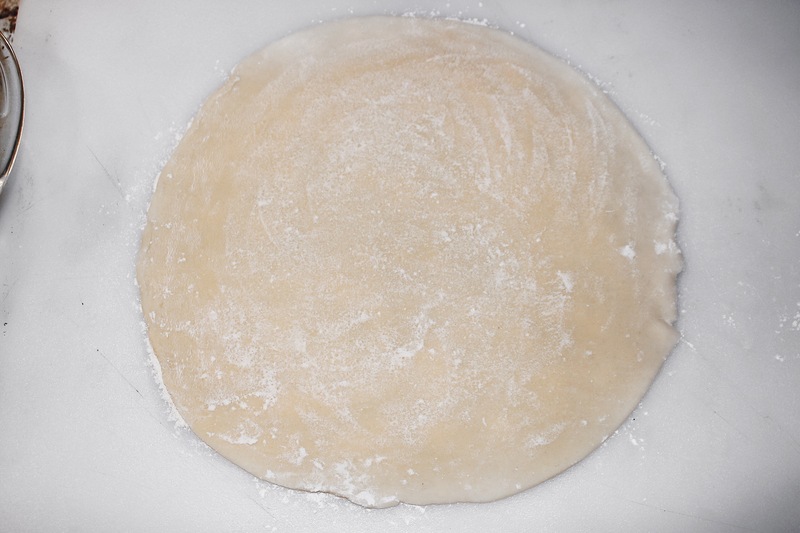 Next, take the butter knife and gently draw 8 lines (like if cutting a pizza pie) onto the circled dough (do not cut all the way, it is just a gentle line), then place that circle on top of the top crust at the edge, but leave about an inch of room from the bottom. 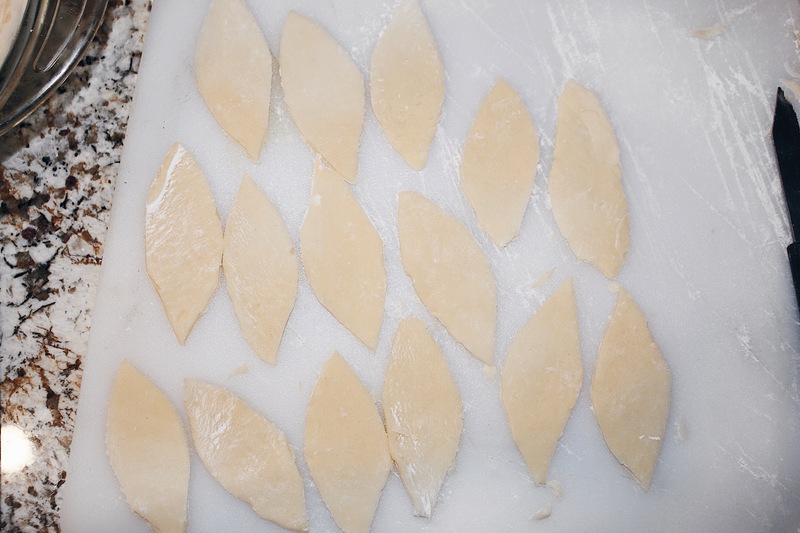 Take the remaining dough and cut out the shapes for the head/neck, beak of the turkey. 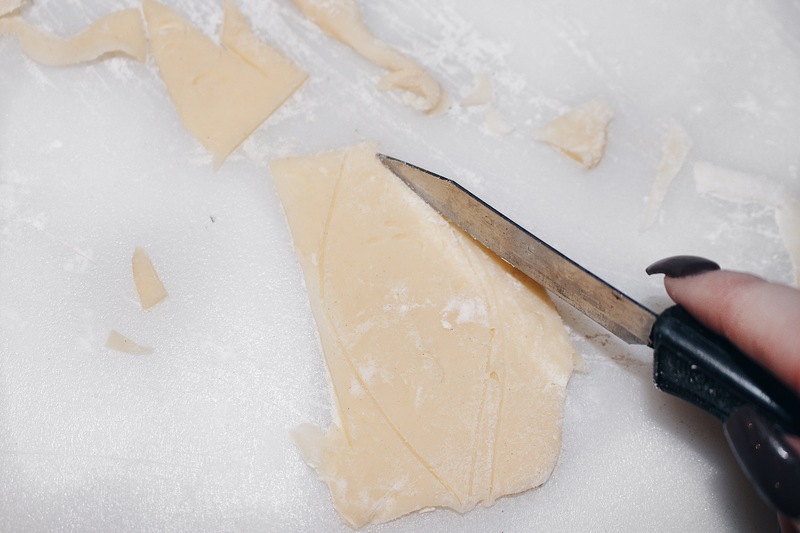 With the tip of the sharp knife, make two tiny holes to represent eyes. Now you can start making the feathers. 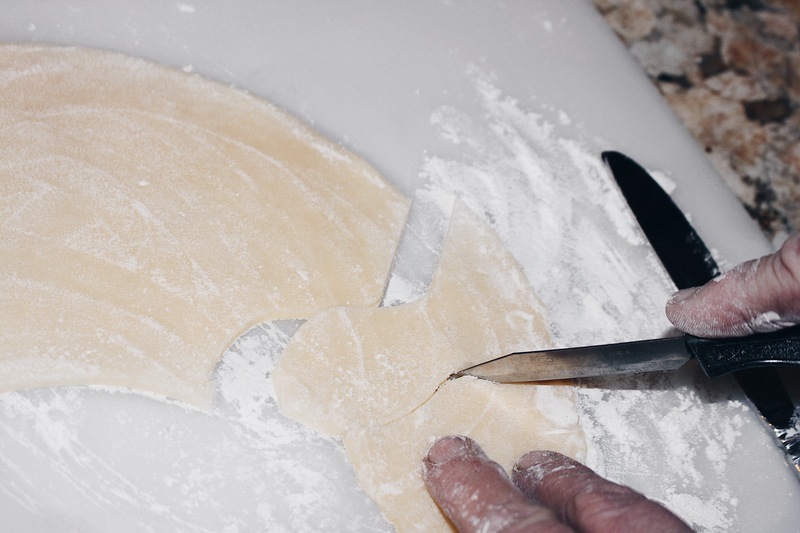 Take your sharp knife and cut out a feather shape, then gently draw the lines (details of the feathers) with the butter knife. 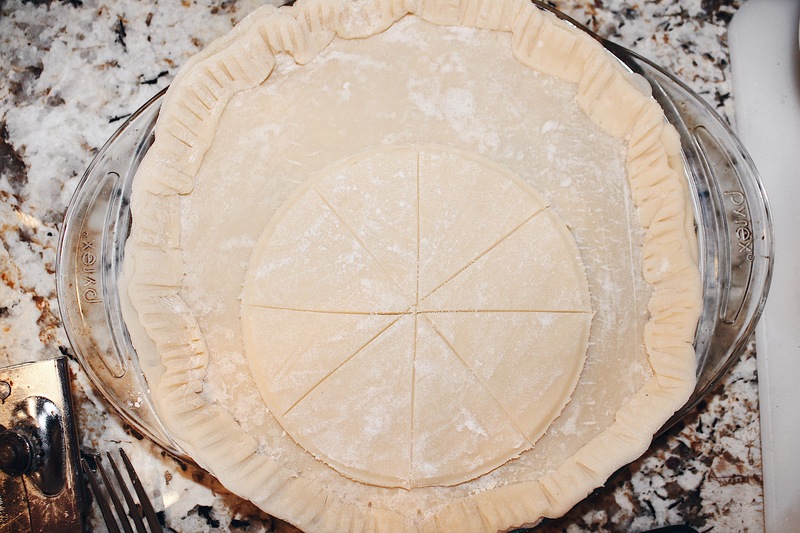 (Depending on the size of your pie will depend how many feathers your turkey will have, so measure with the one feather first to see how many more to make.) 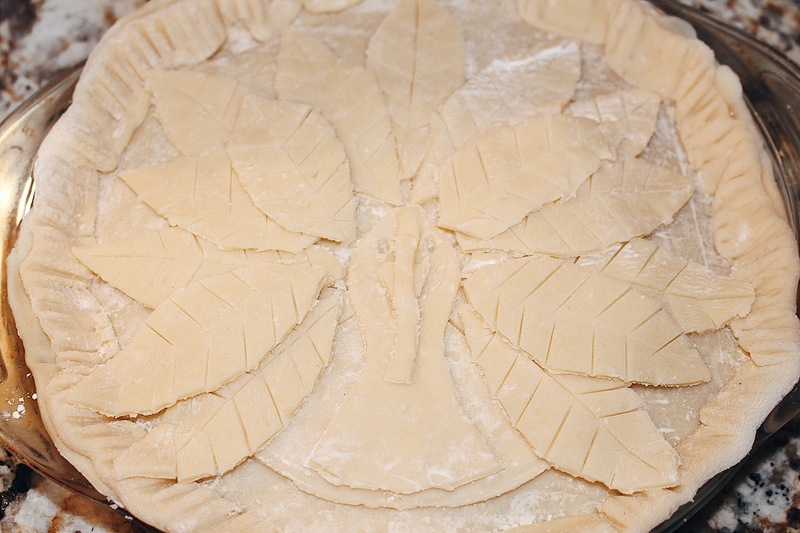 Use your first feather as your stencil and trace the shapes for the other feathers until you have 15 (again the amount depends on your size of pie). Place 7 feathers down first, like I did above. Then you can add the second layer. 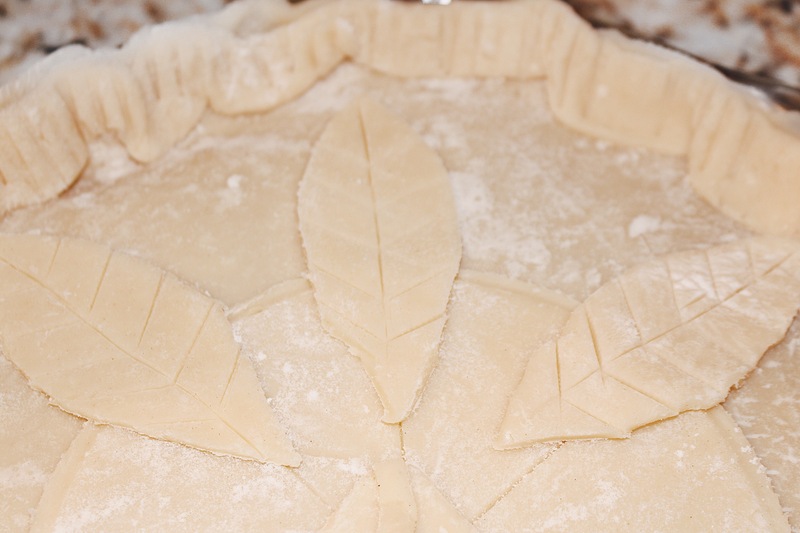 If using my recipe, bake pie at 400° F for approximately 50 minutes, otherwise bake as directed. Wow, that is really cool – I never would have thought to do something like that! Enjoy your Thanksgiving!